Interior Secretary Ryan Zinke has hinted to at least six coastal states that he will keep their waters out of a looming plan to expand U.S. offshore drilling, telling some they lack enough oil to be included anyway, according to state officials and transcripts from public hearings. Zinke's comments are the clearest indication to date that the Trump administration’s initial proposal to open nearly all U.S. waters to drilling, announced in January, will be significantly pared back by the time it is finalized. The proposal is expected later this year. The administration had billed its initial plan as a good way to boost domestic energy production, but officials from nearly every Atlantic and Pacific coastal state opposed it on the grounds a spill would damage their multibillion-dollar tourism and fishing industries. About 17 percent of U.S. oil and gas production now comes from offshore production, but that output is concentrated almost exclusively in the Gulf of Mexico, according to the U.S. Energy Information Administration. Shortly after announcing the initial proposal, Zinke exempted Florida, sparking an outcry from more than a dozen other states that want to be spared too, and criticism from an oil industry keen to access new parts of the eastern Gulf of Mexico. Zinke has since told officials from at least six states they will be “pleased” or “happy” with the final plan, that the waters off their coastlines do not have enough resources to make investment worthwhile, or both, according to the states contacted by Reuters and the hearing transcripts. They include New Hampshire, Maryland, North Carolina, Maine, Oregon and Washington. Remaining Atlantic and Pacific coastal states have either received no assurance or did not specify to Reuters what they had been told by the Department of Interior. In New Jersey, Democratic Governor Phil Murphy has asked for a meeting on drilling several times with Zinke but has received no response, according to a person familiar with the matter. California and Delaware have passed laws banning offshore drilling to pre-empt the Interior Department’s final plan. Interior Department spokeswoman Heather Swift told Reuters Zinke was incorporating feedback from all states into his final proposal. She said the department did not have any new information on the timing. 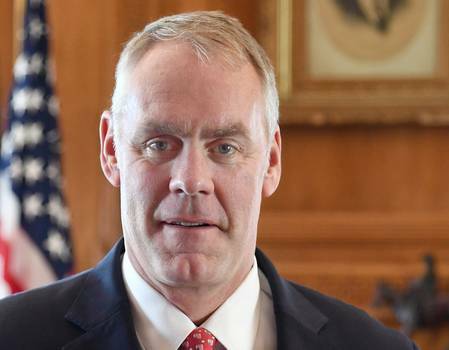 In late January, Zinke met with New Hampshire's Republican Governor Chris Sununu to discuss his fears of drilling off his state's tiny 18-mile coastline. "Based on that conversation, Governor Sununu is confident that drilling off New Hampshire’s coast is very unlikely," Jayne Millerick, Sununu's chief of staff, told Reuters in an email. Of neighboring Maine, Zinke said "there isn't any oil and gas really of significance," and “I'm sure Maine is going to be very happy with the draft proposal.” He made those comments while under questioning during a committee hearing in April by Representative Chellie Pingree, a Democrat who opposes drilling along with Maine's three other federally elected officials -- including two Republicans and one Independent. Maine’s Republican Governor Paul LePage had initially expressed support for offshore drilling, but has not followed up with Zinke on the issue, his spokeswoman Julie Rabinowitz said. Zinke has also told anti-drilling states farther south - specifically Maryland and North Carolina - that he expects they will be pleased with his proposal. At a Feb. 3 meeting with North Carolina Democratic Governor Roy Cooper, Zinke said it is more expensive to develop oil and gas offshore and that North Carolina lacks pipelines and ports to make it worthwhile. He said he expects North Carolina and other states “will be pleased” when the revised plan comes out, but did not offer details, Cooper's office said. To Maryland Senator Chris Van Hollen during a Senate hearing in May, Zinke said: "I think you are going to be very happy with our planning process as we go through." The Interior Department is also in discussions with the Pentagon, which has deemed large offshore areas near Florida, Georgia and Virginia incompatible with drilling because they are used for military testing. Defense officials told Reuters discussions about drilling in the eastern Gulf of Mexico are ongoing. Environmental group Sierra Club, which opposes offshore drilling, said it believed the bipartisan opposition to Zinke’s initial plan would keep the East and West Coasts "off limits" in the final plan.